Messenger Not Working On iPhone? Here's The Fix! You are at:Home»iPhone»Apps»Messenger Not Working On iPhone? Here’s The Fix! Messenger Not Working On iPhone? Here’s The Fix! Messenger won’t load on your iPhone and you don’t know why. Over a billion people use Facebook’s messaging app every month, so when something goes wrong, it’s a major inconvenience. 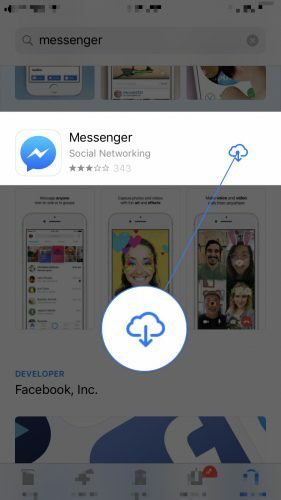 In this article, I’ll explain why Messenger is not working on your iPhone and show you how to fix the problem for good. When Messenger is not working on your iPhone, the first and simplest troubleshooting step is to turn your iPhone off and back on. This will occasionally fix minor software bugs and glitches that could be causing the Messenger app to malfunction. To turn your iPhone off, press and hold the Sleep / Wake button (the power button) until “slide to power off” appears on your iPhone’s display. 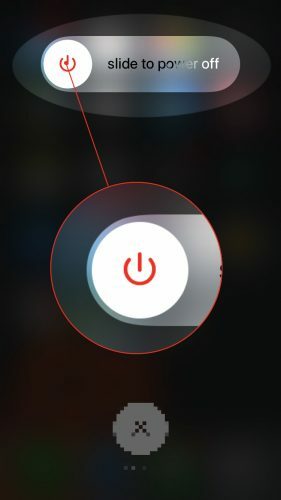 Using a finger, swipe the red power icon from left to right to turn off your iPhone. To turn your iPhone back on, press and hold the Sleep / Wake button again until the Apple logo appears in the center of your iPhone’s display. 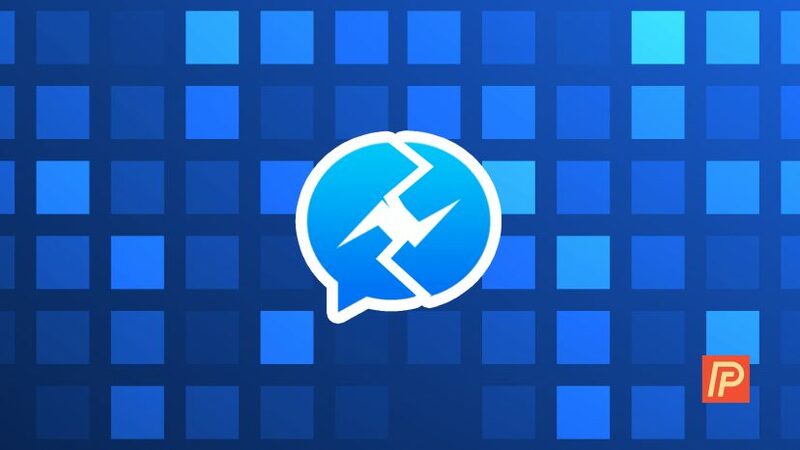 Similar to restarting your iPhone, closing and reopening Messenger can give the app a fresh start if the app crashed or experience a software issue. To close out of Messenger, double-press the Home button to open up app switcher on your iPhone. Then, swipe Messenger up and off the screen. You’ll know the app is closed when it no longer appears in the app switcher. Periodically, developers will release updates to their to patch up any software glitches and bugs. If Messenger is not working on your iPhone, you may be using an outdated version of the app. To check for a Messenger app update, open the App Store on your iPhone. Then, tap the Updates tab at the bottom of your iPhone’s display. On this page you’ll see a list of your apps that have updates available. 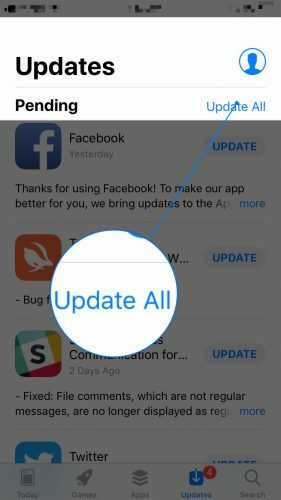 You can either updates app individually by tapping Update next to an app, or update them all at once by tapping Update All. Sometimes, app files become corrupted which may cause them to malfunction. Individual files can be difficult to track down, so we’ll just delete the app entirely, then reinstall it like new. When you delete Messenger, your account will not be deleted, but you will need to reenter your login information! 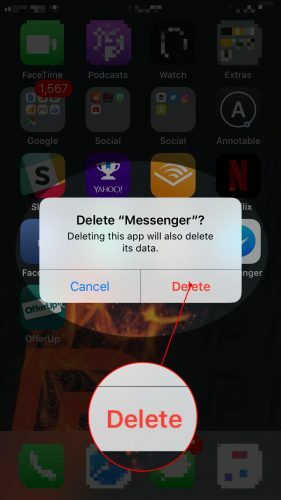 To delete Messenger, gently press and hold the app icon until your iPhone buzzes and your apps begin to shake. Tap the small X in the upper left hand corner of the icon, then tap Delete when the confirmation alert appears in the center of your iPhone’s display. To reinstall the app, open the App Store and tap the Search tab in the lower right hand corner. Type in “Messenger”, then tap the cloud icon with an arrow point down to reinstall the app. 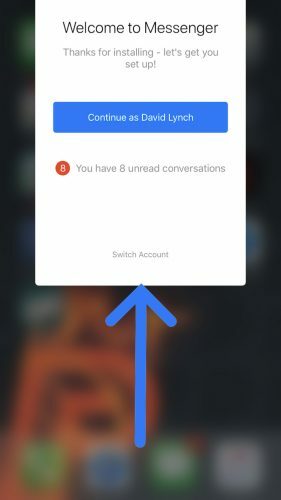 Do You Use Messenger When Connected To Wi-Fi? Many iPhone owners use the Messenger app when connected to a Wi-Fi network. If Messenger is not working on your iPhone while connected to Wi-Fi, follow the two steps below to troubleshoot your Wi-Fi connection. Turning Wi-Fi off and back on gives your iPhone a second chance to make a clean connection your Wi-Fi network. If your iPhone didn’t connect to Wi-Fi correctly, you may not be able to use apps like Messenger via Wi-Fi. To turn Wi-Fi off, open up the Settings app, then tap Wi-Fi. Tap the switch next to Wi-Fi to turn Wi-Fi off. You’ll know it’s off when the switch is grayish white and positioned to the left. 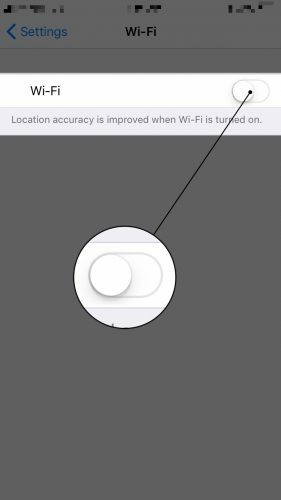 To turn Wi-Fi back on, simply tap the switch again! You’ll know Wi-Fi is on when the switch is green and positioned to the right. If Wi-Fi isn’t working on your iPhone, there may be an issue with how your iPhone connects to your Wi-Fi router. 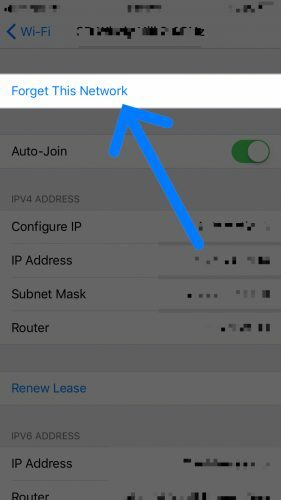 When your iPhone connects to a Wi-Fi network for the first time, it saves data on how to connect to that Wi-Fi network. If that process changes in any way, your iPhone may not be able to connect to the Wi-Fi network. To forget the Wi-Fi network, open the Settings app and tap Wi-Fi. Then, tap the information button (look for the blue i) next to the Wi-Fi network you want to forget. Tap Forget This Network to forget the network. Occasionally, apps like Messenger will undergo routine server maintenance in order to keep up with a growing user base. When this happens, you’re usually unable to use the app for a short period of time. You can check Messenger’s server status by clicking the link. Our final software troubleshooting step for when Messenger is not working on your iPhone is to reset all settings. 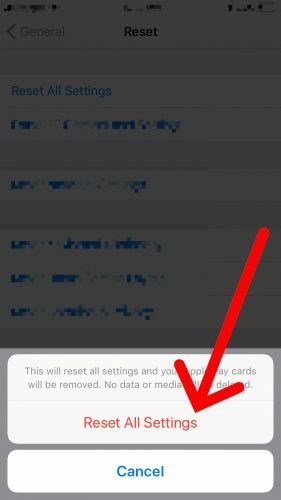 When you reset all settings, all of the saved data in the Settings app of your iPhone will be erased. As I mentioned earlier, tracking down a specific software issue can be difficult, so we’ll reset all settings as a “catch all” fix. To reset all settings, open the Settings app and tap General -> Reset -> Reset All Settings. Enter your passcode, then tap Reset All Settings when the confirmation alter pops up at the bottom of the screen. The settings will reset and your iPhone will restart. You’ve fixed Facebook’s messaging app on your iPhone and you can start getting back in touch with your friends and family. Make sure to message this article to your friends on social media so they know what to do when Messenger is not working on their iPhones! Previous ArticleiPhone Says “Your SIM sent a text message”? Here’s The Real Fix! Next Article Netflix Not Working On iPad? Here’s The Real Fix!